There was little or no doubt in Pat Cunningham’s mind as to where his team ranked in Sunday’s Connacht Junior Cup final. As he reflected on 80 minutes of rugby where Connemara ran in three tries without ever looking like giving up one themselves, he admitted that Creggs were “absolutely second best”. “They’re a very good team, a very experienced team, they know what they’re at. They have a good bit more bulk than us and we made too many unforced errors,” he conceded. “Once they got on top we found it very hard to get the ball off them. They’re very good defensively. If we were going to win at all, it was going to have to be a tight game. We were going to have to nick it, but we just conceded too much. We had to chase the game in the second half and that suited Connemara perfectly well,” he explained. With a strong breeze blowing down towards the road end of the ground, Creggs needed to get onto the front foot early. 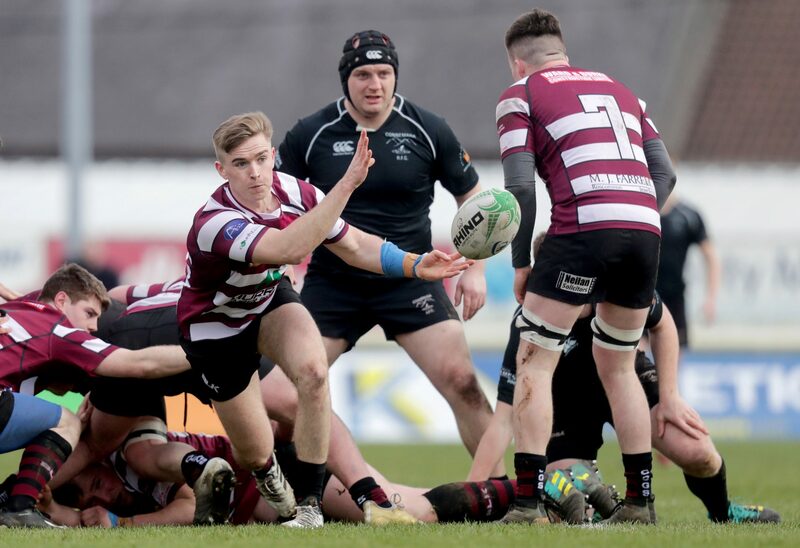 But while they made some early visits to the Connemara ‘22, a series of handling errors and other mistakes meant that after almost a half an hour of wind-assisted rugby, one penalty from Shane Dowd was their meagre haul of scores. Their manager knew that this wasn’t going to be good enough against the league champions. As a learning experience, Cunningham said that Sunday’s final would be important for the players, and for the management as they try to build on the 2018/19 season, a year in which they made huge progress only to end the year with just the Cawley Cup to show for their efforts. “I definitely was positive coming into today, we had trained extremely well,” he pointed out. “We’ve a lot of 19, 20 year-olds. We’ve a couple of lads and this is their first season of real senior rugby, and a couple of lads that haven’t played in a few years. But the strides they’ve made have been huge. It wasn’t false positivity, I do think they’re great lads, but I suppose in hindsight, maybe our inexperience in key moments, compared to Connemara, shone through today,” he continued. The task of preparing for next season will begin in earnest shortly, but it could yet be the case that Creggs will start 2019/20 as strong favourites for the junior league — if Connemara can follow in Ballina’s footsteps and secure a spot in the AIL through the round robin competition, which starts next weekend. Cunningham wished the West Galway side well in that competition, but said that from a Creggs point of view, he hopes that they’ll have the chance to settle some scores against this season’s double champions. “I’m not sure what Connemara’s ambitions are, but I’d love to see Connemara in the league next year,” he added. “Those are the type of games and occasions that we strive for, a lot of the other games this year haven’t been as competitive. Maybe some teams will step up next year but, in my opinion, you want to win cup finals against the best teams. We’ll learn a lot from that today and already I’m looking forward to next year, to see can we improve and get better for when we play them. “I don’t know want to wish they don’t go up if that’s their goal, but I’d like another crack at them. I certainly wouldn’t like to get rid of them just to win a cup or a league,” he concluded.